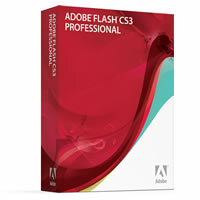 Along with the rest of the CS3 bundle, Flash CS3 was released today. Most of the features had already been announced at various conferences, but nonetheless this is very exciting. I personally am especially excited about the native Illustrator importing -- we use Illustrator on about 90% of our projects at XPLANE, and not having to deal with the pain of importing those files will be a huge help.